RST Event - James Bach - Satisfice, Inc.
RTI ONLINE January 28-30, 2013--Registrations are closed! This on-line or onsite seminar applies Rapid Testing methodology to testing a specific product. It can be taken before or after the other classes. Some students have found this to be a useful prequel to RST; others have said it's a good follow-on. For the first time, many participated in an immersive testing experience, RTI #1, with the Bach brothers: the men who created the Session-Based Test Management and Rapid Software Testing methodologies. About 88 participated online, where it provided an experience to see how the modern theory of testing met practical work. From left to right; Andrew Prentice, Simon Tang, Mark Hrynczak, Thomas Htwe, Leslie Harper, Samson Hendricks, Adam Roy, Thomas Ritter, Erika Bach Good, Rob Sabourin, Amy Jo Esser, Aleksandar Simic, Karen Johnson, Chris Kenst, Susan Ward, Paul Holland, Sunil Kumar SS, Dwayne Green, Kristelle Bach Sim, Jon Bach. In front; Phong Phung, Ajay Balamurugadas, and our fearless leader, James Bach. James is currently compiling the Final Test Report for RTI #1. He is releasing it in pieces, and the first piece released will be the Usability Survey. Day 3 Photos: Another day of Testing plus an added treat from Satisfice...Kayaking! My Rapid Testing Intensive Experience...and a Berry Bread Pudding in a Foil Packet Recipe. A fun experience summary of RTI#1 by Onliner Bernice Ruhland. Onliner Jeff Lucas's blog post describing his experience with RTI#1. Two Atlassian Representatives, Andrew Prentice and Mark Hrynczak, were on the floor, in full participation with the group of Testers onsite! We were honored to have them. We used their tools to administer the Intensive, and it helped make the Project a success! Thanks to them and Atlassian for their generous support. Satisfice Trainer Paul Holland assisted at RTI! Paul Holland, as mentioned on James' recent blog post, joined us in July! He is a new trainer for Satisfice's RST Class. Paul is a gifted test manager formerly of Alcatel, and is famous for his facilitation skills at context-driven peer conferences. He's the facilitator-in-chief at CAST conferences, and a pillar of the WOPR conference. More on Paul Holland here. Welcome, Paul! Another Software Testing Celebrity joined the RTI Crew! Robert Sabourin joined us at this event! 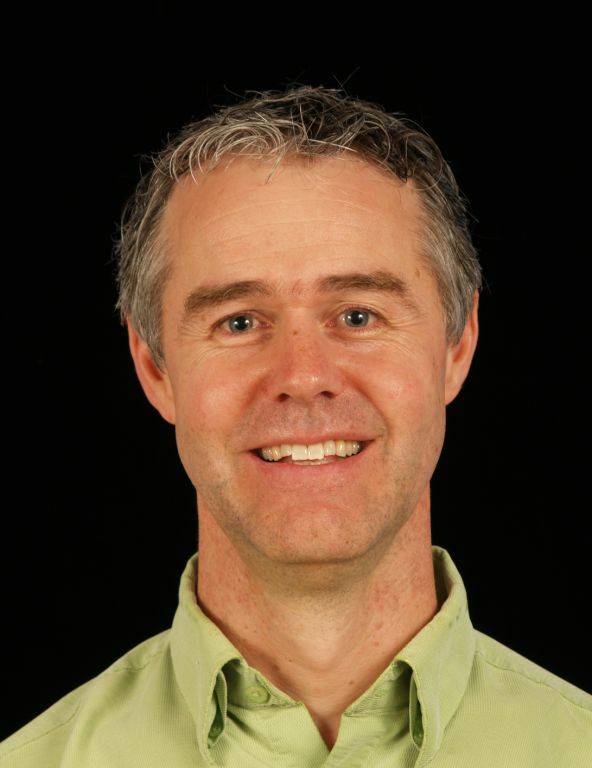 Robert Sabourin is the creator of Just-In-Time testing methodology and a leading thinker in the Context-Driven testing school. He has more than thirty years of management experience, leading teams of software development professionals. A well-respected member of the software engineering community, Robert has managed, trained, mentored and coached thousands of top professionals in the field. 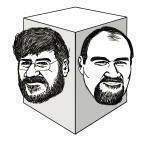 He frequently speaks at conferences and writes on software engineering, testing, management, and internationalization. The author of "I am a Bug! ", the popular software testing children’s book, Robert is an adjunct professor of Software Engineering at McGill University. Robert is the principle consultant (&president/janitor) of AmiBug.Com, Inc.
"The days were filled with insights, discovery and many great “aha moments”. The evenings were filled with friendly debate about what we were learning about software engineering, what we were learning about testing and most of all what we were learning about ourselves. The camaraderie, conferring and community have led me to a rich career and much continuing collaboration. " --Rob Sabourin, after attending a Satisfice course. See entire comment on Seminar page. ...Welcome Reception on July 23 at 7:30pm and ended at noon on the 28th. What was it: Nearly all testing textbooks and classes teach testing based on ideas that are about forty years old. A funny thing about that: we have no evidence that those ideas worked even then — and yet, the world is more complicated, today. Traditional testing demands that you test with a complete spec, assumes you will test every feature in every way, and expects that you will write out all your tests cases in detail before you start. Hogwash! None of that is possible, and some of it is actually harmful even to attempt. Rapid testing is a skill-based and context-driven testing methodology that invites you to apply ingenuity, tools, and lightweight heuristics to test complex products. It's designed to scale. It's designed to engage your brain, instead of make you feel like a stock clerk at a supermarket. It's a methodology that grew out of the culture of innovation in Silicon Valley. This seminar was a live test coaching experience run by James and Jon Bach. They trained to "test as you test", just as if someone worked for them in real life. James is the creator and managing author of the Rapid Testing methodology, which he has been developing since the late 80's at Apple Computer, and teaching since the mid 90's. Jon is the Director of Live Site Quality at eBay, responsible for continuously evaluating one of the most complex websites on Earth. They learned: • What is Rapid Testing and how to use the Testing Story heuristic. 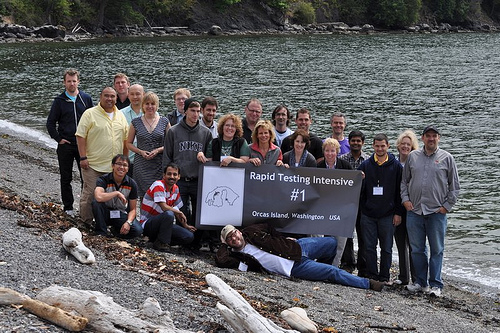 • Why excellent testing is and must be a thoughtful people-centered process. illuminate the work of a test team. • How paired exploratory testing can supercharge your testing. How did the tools help them: We used Atlassian JIRA and Confluence to coordinate the collaboration and gathered the test results from all participants, both online and onsite. Paid participants received a login to access testing notes and archives. A dedicated administrator tracked questions and issues of the online participants while Jon and James focused on managing the testing itself. We used Citrix GoToWebinar for daily meetings. Time Zones? If you were attending online, and were in a different time zone, that was okay! We broadcasted two briefings per day which were recorded. If they didn't see them live (approximately 9am and 1pm PST), they could watch them later. However, they didn't have to watch them at all. The status of the project will continuously be updated in Confluence, to which they will have access. The instructors were available, as well as the online moderator, to answer any questions they had during the course. No matter what time zone they were in, this event was a true testing experience! What did ONSITE registration include? How did they prepare: We tested eBay Motors, and were encouraged to use tools such as Fiddler, Burp Proxy, browser add-ins, etc. that assisted in testing. Although it is helpful to have taken the RST class, it was not required. However, we did recommend that they reviewed the articles and materials on the Satisfice site. Must have at least one year of software testing experience. Must be able to speak and write reasonably well in English. 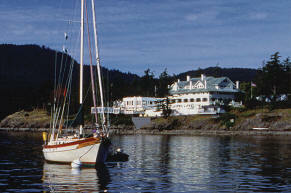 Rosario is a beautiful historic hotel located on Orcas Island, Washington. Sunset Magazine features San Juan Islands...check it out! Orcas Island is a beautiful place to be in the summer! Traveling to and from the Island during this time does require some planning due to the high volume of tourists. 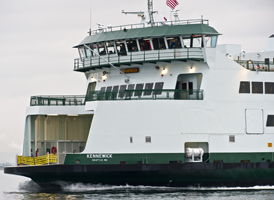 Ferry lines can get quite long, so plan ahead! 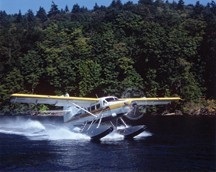 Once you fly into Seattle-Tacoma Airport (SEA), you can choose a variety of ways to continue your trip to Orcas Island. The Kenmore Air fleet lands right in front of Rosario!